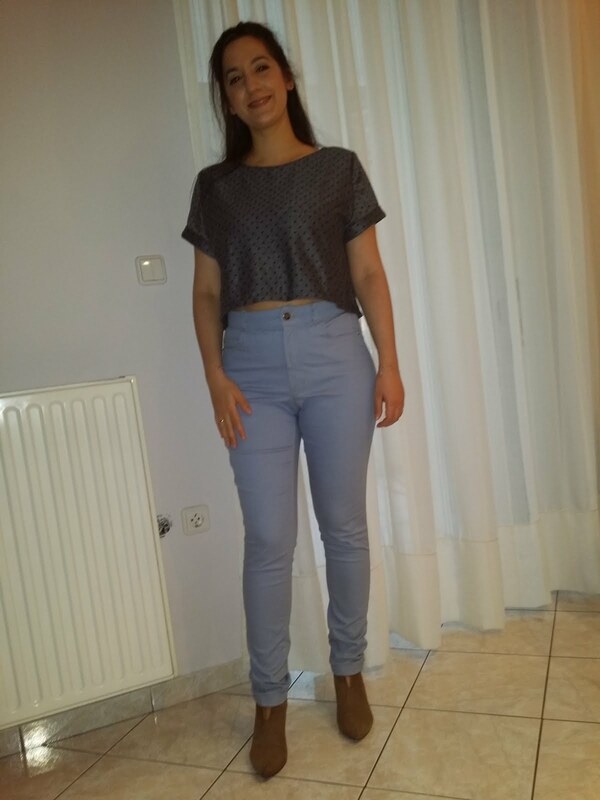 I made my very first pair of jeans! Hooray! Another #2017makenine project! I’m so so happy about this make! During the past, I was afraid of making them so I kept avoiding them. I thought that I couldn’t make such a pattern because of my lack of experience but mostly because I have’t been brave enough. Of course we all need a bit of experience in order to sew jeans, but truly, we don’t have to be afraid of any kind of patterns. On to the jeans now. I used the Ginger Jeans pattern by Closet Case Patterns (I always keep on calling this company “Closet Case Files” instead of “Closet Case Patterns”! Isn’t only me who does this!?). The pattern comes with two variations. View A has a low rise with narrow legs (like a tube) while View B is a high-waisted with skinny legs. I made View B. The sewing patterns calls for light to medium weight fabrics with at least 2% Lycra. Cotton fabric for the lining and the waistband. 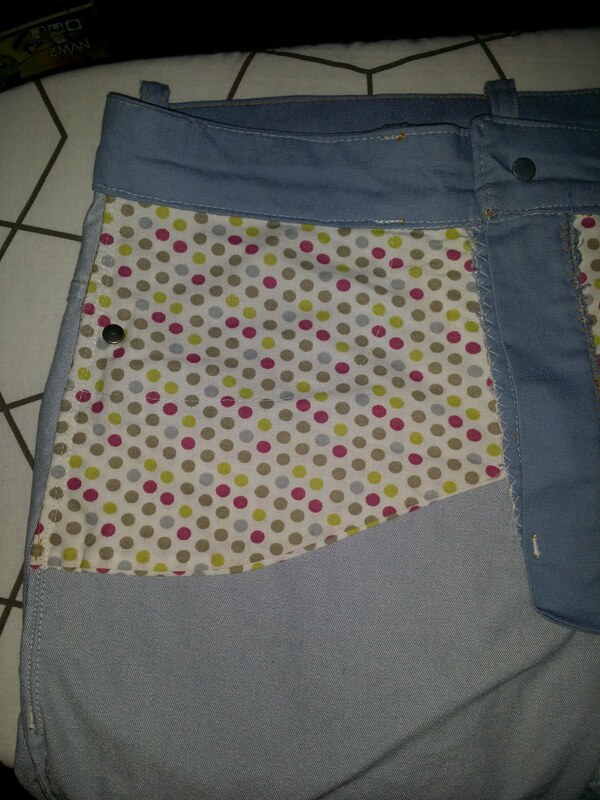 Finally, fusible interfacing, jeans button, jean’s zipper and rivets. 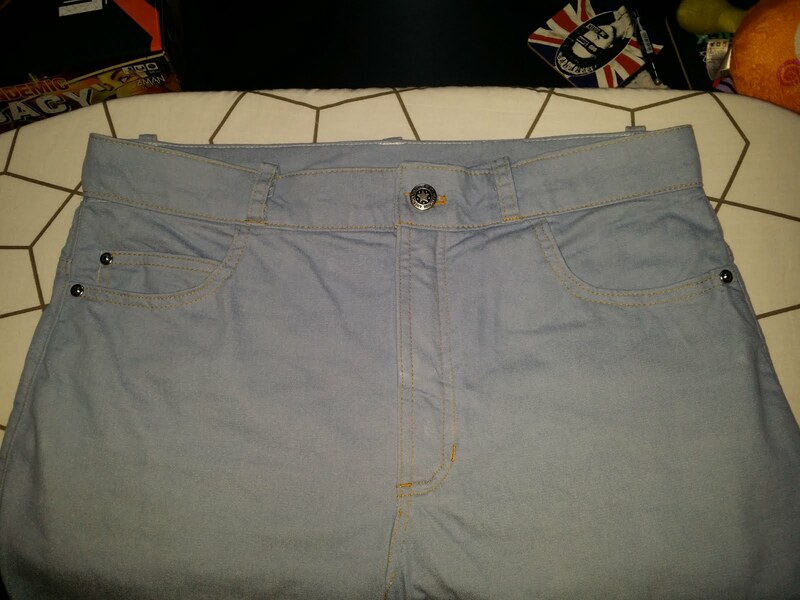 I bought a light weight denim fabric with 3% stretch in baby blue from ifasma. eu for 8 euros per meter. Unfortunatly, it creases badly. For the lining I chose a multicoloured polka dot fabric that I already had in my stash. It is the same fabric that I chose for my guise pant lining. Jean’s button and rivets were from Prym and I bought them for 4.20 euros and 8.57 euros from kounias. Metallic zipper was from my stash. Before I started making the jeans I had read the Heather’s Lou (owner and designer of Closet Case Patterns (CCP)) ebook “Sewing your own jeans” and it was really informative. 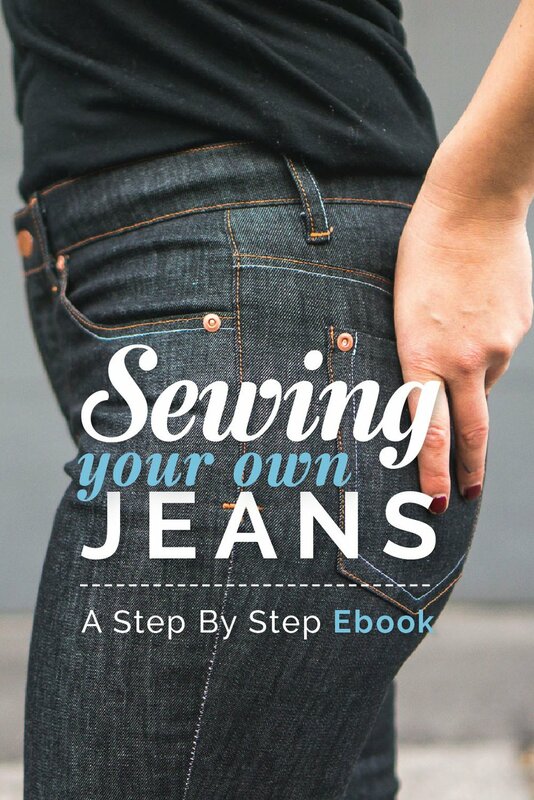 The book covers all the process of making your own pair of jeans in detail. From the fabric choice and how to fit your jeans to your body to how to make the fly zipper and putting those rivets. I found it really helpful and informative. Now, I would like to say that the instructions that came with the pattern are very clear and helpful! 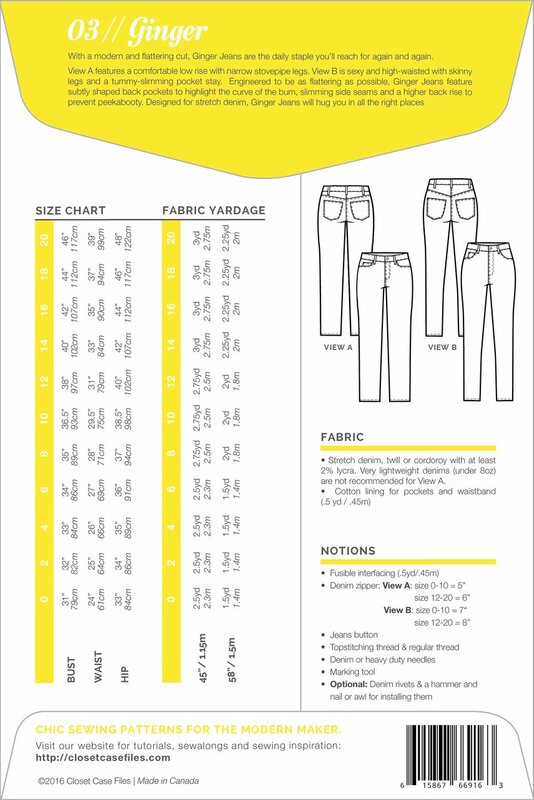 Also, helpful is the sew along for Ginger Jeans in CCP’s blog. As I mention before, I was a bit scared at first. After reading the ebook, things got much more clear for me. 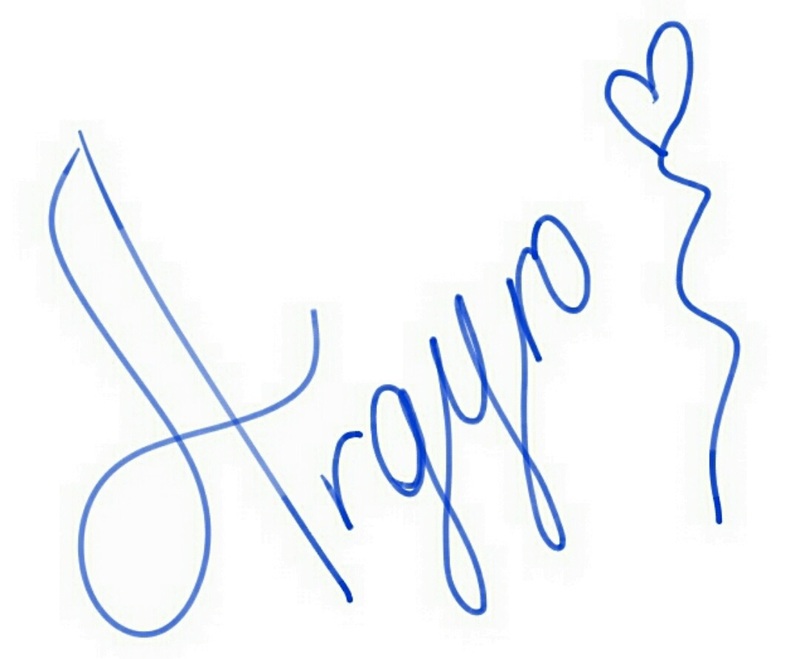 So I got started! First, I traced my pattern pieces as I always like to do and then I cut the pattern pieces from the actual fabric. 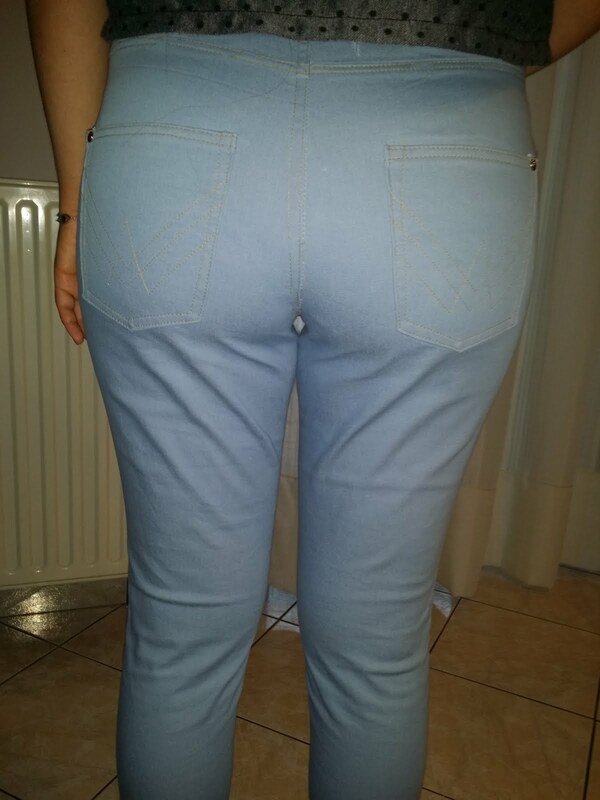 Instructions said that the jeans legs must be cut separately (in one layer of fabric) and not in two layers of fabric. This is important because denim as a twill fabric wants to pull in the direction of the weave. That way, it might ended up twisted if it was cut in two layers of fabric. I was between 10 and 12 sizes but considering the stretch of my fabric choice, I ended up making the smaller size. I felt very very lucky because they fit like a glove and I didn’t have to make any alteration. The only thing I could say about choosing a denim with 3% stretch is that I feel that after wearing it gets stretched a bit. However, after a wash it goes back to its shape. You can occasionally use a heavy duty thread or buttonhole twist. Here is the link where I found this. I’m feeling sad that my machine cannot handle top stitching because this type of thread gives a professional look to the finished garment. The truth is that I have started thinking about buying an industrial machine.. I know that someday I want to upgrade my current machine to something more powerful. I really like those fancy machines with different types of stitches but let’s be real: I’m not going to use all those stitches. So with the same amount of money I can choose a more powerful and quicker sewing machine. 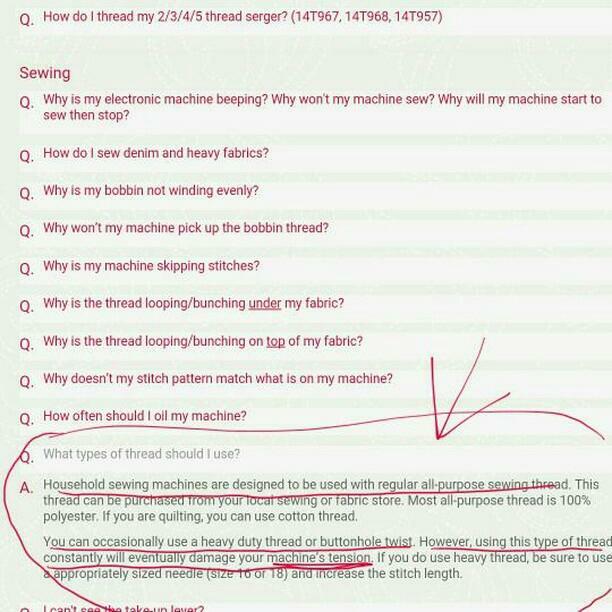 I’m getting a bit off topic of this post, but I would like to tell you (whoever consider about buying an industrial sewing machine) that these type of machines sew only one type of stitch (straight, zic-zac etc) but they stitch it dreamily. However, I managed to find an industrial machine that has both straight and zic-zac stitch! It is the Singer 20U. This machine was recommended by the engineer at the Singer fix centre. To continue to the rest of the Ginger jeans review, I had to use normal thread. 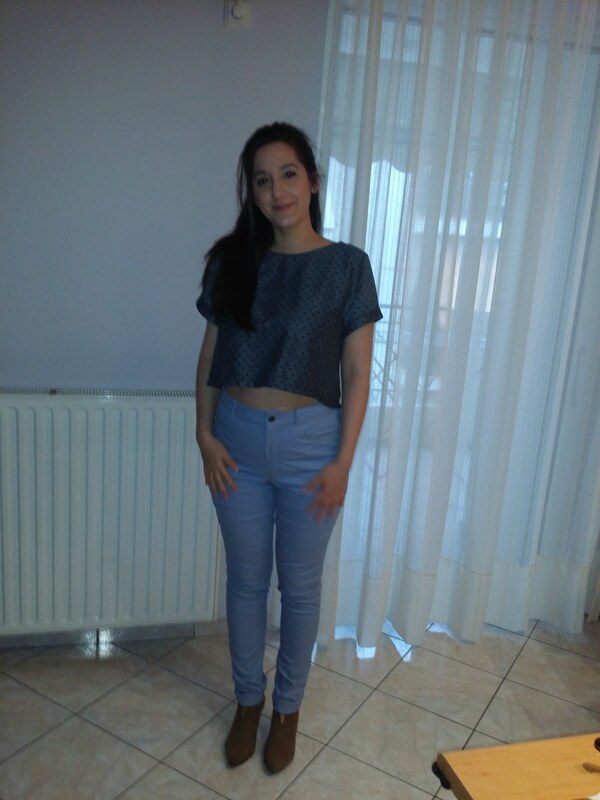 Unfortunatly, I feel that that seams do not have enough strength. 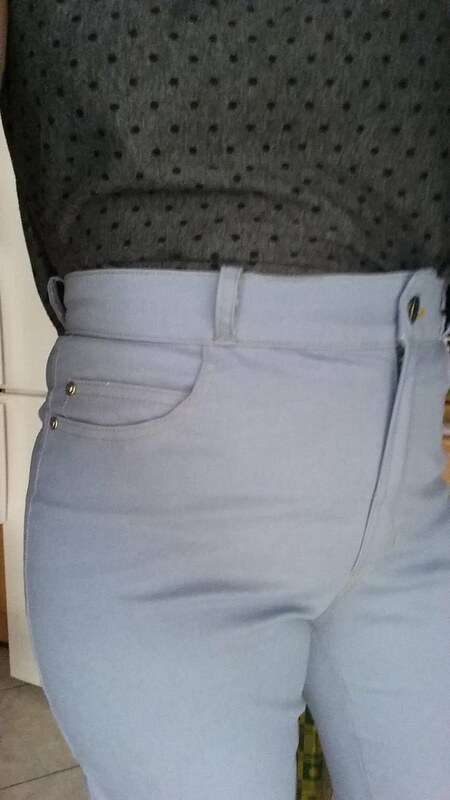 One of my crotch seam broke so I had to upick it and sew it again… What do you feel about it? Have you ever stitched a pair of jeans using a regular thread? I think that there is a purpose of using thicker thread because it is stronger. Finally, I used felt flat seam for almost the entire garment. It was the first time I used this technique that much. It was a bit challenging. Next time, I might try the zic zac stitch just for a change. For the pocket design I download the “33 back pocket designs” from CCP and you can download them here . Sewing a big project like this one, it was a bit challenging for me. Because of my lack of time, I rushed in order to finish it quicker and as a result I ended up to do more unpicking than sewing! I must have unpicked and resew at least two times almost every seam! Grr…!! That was frustrating! Unfortunately, when I work on big projects for too long I’m feeling like I have been working on them for ages! As a result, I cannot wait to finish and start a new one! I know that this isn’t OK. Next time, definitely I’m gonna take my time! I’m way too happy with my first pair of jeans. I would love to make more pairs because this one fits like a glove. Next time, I would like to try a thicker denim than the one that I used for this one and also I would like try denim fabric with 2% stretch. I feel that the high-waisted version compliments my body shape. They are super comfy to wear and yet stylish. 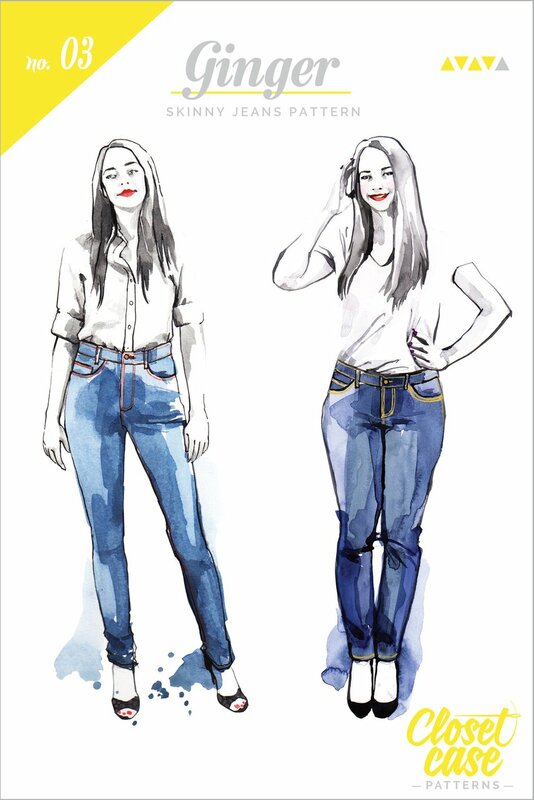 I totally recommend this pattern and don’t be afraid to sew your own jeans! It is a very pleasant make! Make another one: Yes, I plan to make more! I really enjoy making it. They are really comfy.